Russian Zarubezhneft may set up a joint venture in Uzbekistan. Plans to set up a joint venture in Uzbekistan became known after the negotiations of representatives of the Russian company and Uzbekneftegaz, which were recently held in Tashkent. Following the negotiations between Zarubezhneft and Uzbekneftegaz side, it was decided to discuss this issue during the next visit of the Russian company to Tashkent. Uzbek side stated that Zarubezhneft is today regarded as one of the key partners in the implementation of projects to increase hydrocarbon production at low-yield fields in Uzbekistan. 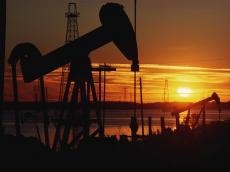 “As a result of the work done, the Russian company made a statement that it could implement a project to increase oil production in the long-developed fields of the Fergana region. It was also noted that Zarubezhneft is interested in the further implementation of the project and in discussing the transition to the next stage with more concrete actions to prepare for the signing of the agreement,” Uzbekneftegaz said. The parties also discussed various forms of interaction, such as the possibility of creating a joint venture, the formation of the operator and the signing of a service contract. Russia and Uzbekistan productively work in the oil and gas sector. The commissioning in April 2018 of the Kandym gas processing complex with a capacity of more than 8 billion cubic meters per year was an important event in the mutual cooperation history. A partnership has been established in exploration (gas fields), telecommunications, and cement production. Russian enterprises are also involved in the modernization of electric power facilities in Uzbekistan. All this clearly demonstrates that Uzbekistan today is one of the key and most promising foreign policy partners of the Russian Federation.